Bride of Frankenstein Model Kit from Moebius Models. 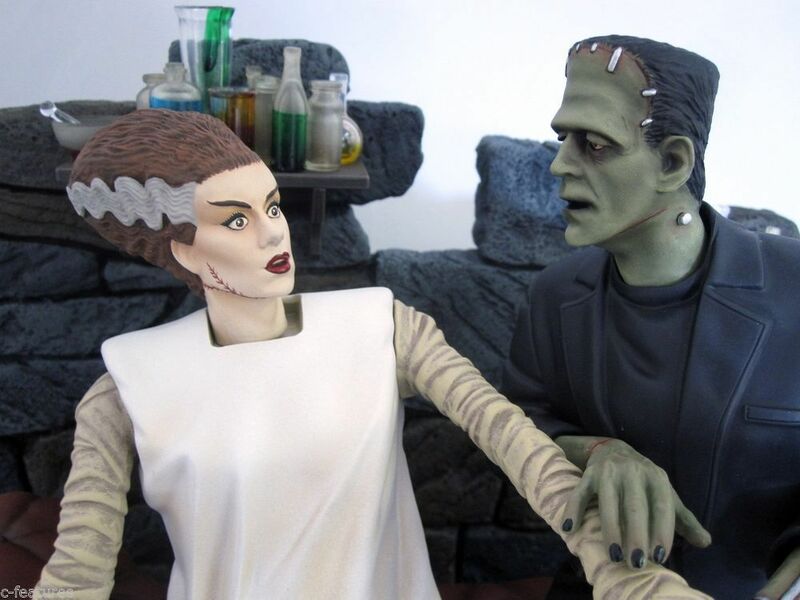 From the classic Universal film comes the first styrene kit of the Bride and Monster together in an unforgettable pose from the film. Sculpted by Jeff Yagher, this truly captures the essence of the doomed love the Monster felt, an outstanding addition to any collection!